Name the people in our story. What animal was in our story? What did God tell Adam and Eve? What did the snake say about God's command? When God talked to Adam and Eve did they admit that they did wrong or did they blame someone else? Because Adam and Eve did not obey what did God do? Verse: Psalm 34:13 Keep your tongue from evil and your lips from speaking lies. Around and back on the railroad track. Two! Two! - Paint the Adam and Eve Disobey worksheet with the following directions: red fruit, purple flowers, and orange snake. 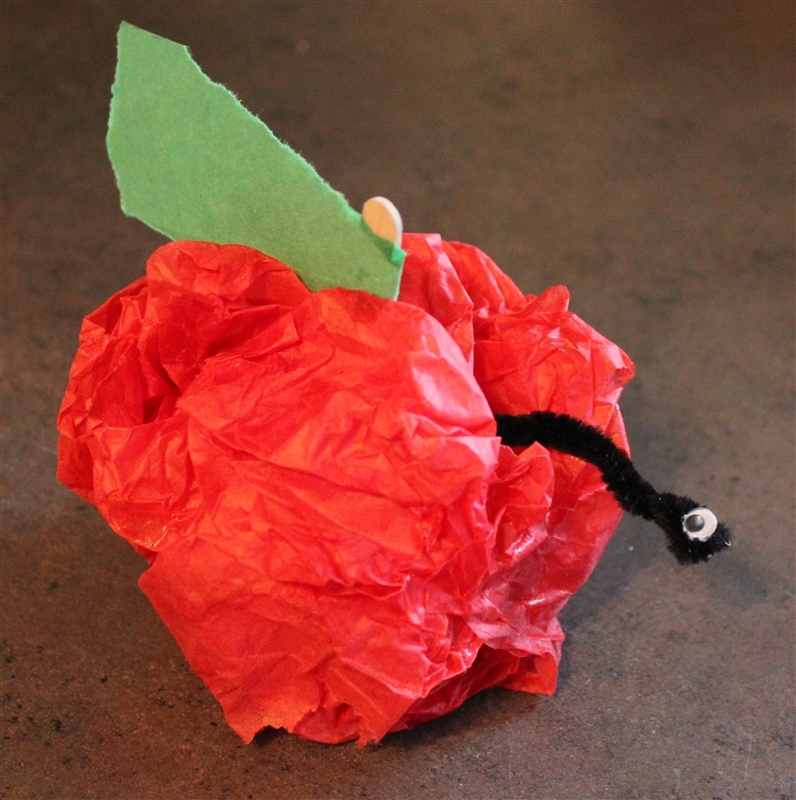 - Fruit Snake Craft - Wad up a piece of red tissues paper around a craft stick. Add googly eyes to a pipe cleaner. Mostly hide the pipe cleaner in the fruit. Using glue diluted with water, paint the tissue paper to hold together around the stick and pipe cleaner. Add a green leaf to the stick. Discuss how the fruit is beautiful but God sees the whole picture (the hidden snake) and knows what is best for us. - Color and cut out the fruit on the Adam and Eve's worksheet. 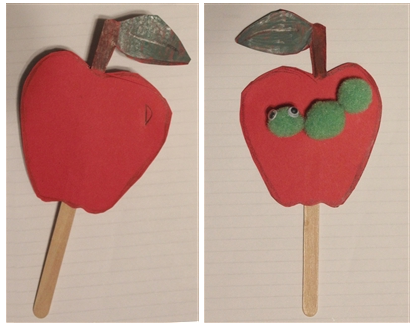 Glue one fruit to each side of a craft stick so they match up. On one fruit, add pompoms to make a worm. Add googly eyes on the head. Leave the other fruit plain. Discuss how Adam and Eve saw only want they wanted to see (the beautiful fruit). God saw the whole situation (the wormy side) and knew what was best for them. - Make play dough snakes. - Notice the colors of a stop light. - Using the Building with Colors worksheet, add this week's new colors. - This is the first week that letters are introduced in the 3 Year Curriculum. Each week a new lowercase and uppercase letter is taught using tactile letters along with the ABCJLM Letter Formation Chants and in creating a Letter Book to focus on the phonemic sound each letter makes - for example, a says /a/ as in apple. 1. 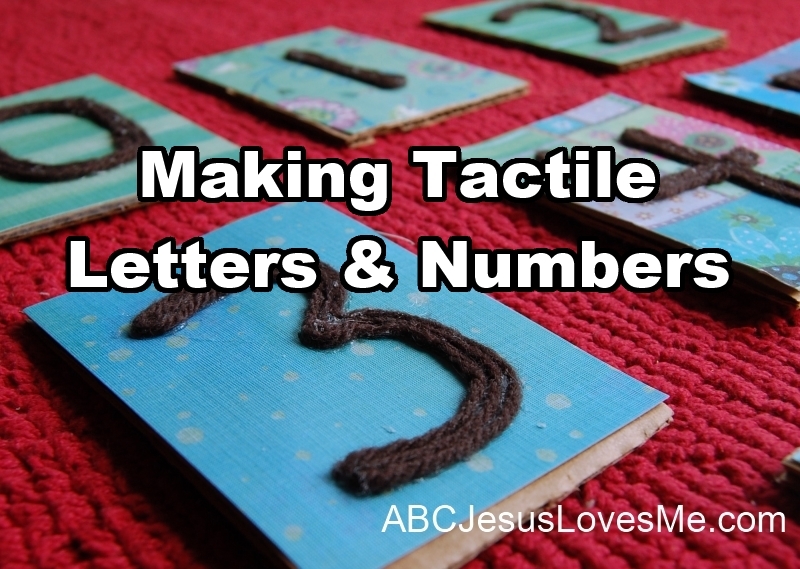 Just as with the numbers, tactile letters are a significant part of the 3 Year Curriculum. 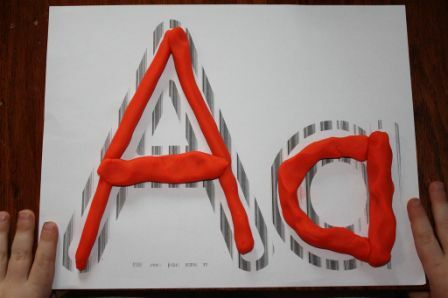 The ABCJLM website contains a plethora of simple ideas to make or purchase your own tactile letter set. As the child traces the tactile letters, be sure to say the Letter Formation Chants included in the Objectives to help the child learn the correct formation. The process of actually writing the letters is not covered at this point of the learning but the tactile letters will prepare the child for handwriting activities. 2. Using the Letter Posters, create a "Letter of the Week" Book just as you are with numbers. 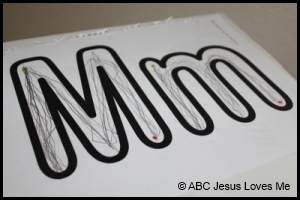 Glue, draw, or stick objects to the Letter Poster that begin with the phonetic sound of the letter. (Use the short vowel sound for all vowels.) For example, this week glue animal crackers, fingerprint the poster to make ants, or place animal stickers on the letters. The ABCJLM website contains examples Letter Posters as well as crafts, food suggestions, books, and computer game links to help the child learn the formation and phonetic sound of the letter. 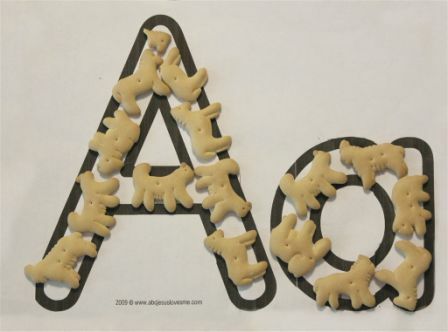 Click here to see the Letter Aa Ideas. - Below are additional ideas to help the child learn letters..
1. Just as with the Math books, the My First Steps to Reading (also known as Sound Box ) books by Jane Moncure used to be a large part of the 3 Year Curriculum as they are the best books which I have found for teaching letters and phonetic sounds. Sadly these books are no longer in print and thus they have been removed them from the supplemental materials. But, I encourage you to search for these books at your library, on Amazon or Ebay, and in used book stores. They are that good! 2. Big Thoughts for Little People: ABC's to Help You Grow is a book I highly suggest you use throughout the curriculum. The child will learn about Jesus as well as work on the ABC's and phonetic sounds. 3. Use the Letter Posters as Play Dough Mats and role the play dough into ropes and lay on the Letter Poster to form each letter. This adds one more level of learning and is a great fine motor activity, which helps improve handwriting. 4. For older children or those with strong fine motor skills: If your child is ready for basic writing of letters but not ready for the intensity of the 4 Year Curriculum, use the Letter Posters to teach the correct formation. Links to the posters are included under "Items Needed." Add green and red dots to the posters and teach the formation using the Letter Formation Chants. Encourage the child to stay between the lines when forming each letter. 5. Boz: Thank You God for B-O-Z's and 1-2-3's - This video is an excellent way to introduce children to letters and numbers all while discovering God's world around us. 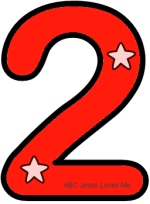 - This week use markers to decorate the Number 2 Poster. Add two sticker. Always have the child point with her finger and count at the same time. - Using the Five Little Ducks worksheet from last week, order the 0, 1 and 2 ducks. - Discuss why each animal can't be the llama's mama. - Discuss the different sound that each animal makes. Using the peg puzzles, encourage the child to pick up the puzzle pieces using her thumb and index finger. Play "Red Light, Green Light" as a fun way to practice obedience of stopping when told to do so. Using only the green (go) and red (stop or freeze) concepts of this game, play this game while on a trampoline, doing an activity at the park, or running or walking beside each other. Teach the child to immediately stop when given the "red light" command. If the child learns this skill, it can be used in an emergency situation such as a parking lot.